The Reno area isn’t just a destination for winter sports enthusiasts and businesses. When summer rolls around, art and music festivals, farmer’s markets, rodeos, and sporting events are just a handful of things available, thanks to some very dedicated people. Reno’s city planners and officials have been engaging in revitalization projects since the 1990s. The Reno Revitalization has taken huge steps in beautifying the downtown area considerably since then, but they’ve realized it’s going to take more than just a few coats of paint and updated roads to improve the quality of life for the residents and attract a new clientele to the city. Despite our cities overall success, sometimes what’s really needed is a fresh perspective to evaluate how a city is performing in today’s economy. 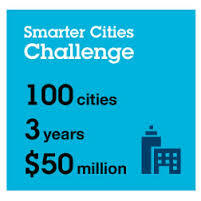 As a way to address this, IBM developed the Smarter Cities Challenge. The challenge assesses critical issues cities face by deploying a team to engage with the population, analyze factors such as: education, economy, health, local government, use of assets etc; and recommend ways to improve the city. Essentially, the intent is to gauge if cities are using their resources effectively. In 2012, The University of Nevada, Reno and the City of Reno, was 1 out of only 33 cities to participate in the challenge with IBM. And, in early 2013, Reno completed their challenge. According to Reno’s IBM Smarter Cities Challenge, the following was reported. The serious issues were: education, a highly skilled workforce and a thriving local economy. Some areas for improvement were: efficient citizen services, local government enabling processes, efficient use of assets and public safety. However, the report also showed that the city was performing well within the areas of: dependable and appropriate transportation, high-speed connectivity, sustainable utilities, healthy citizens, a sustainable environment and support for an aging population. In order to turn things around, the report recommended: changing the mindset of the populous through collaboration, present a singular economic voice, build a system to support economic development and present a single regional identity. Since IBM began this initiative in 2012, only one hundred cities have been selected to receive grants and participate.